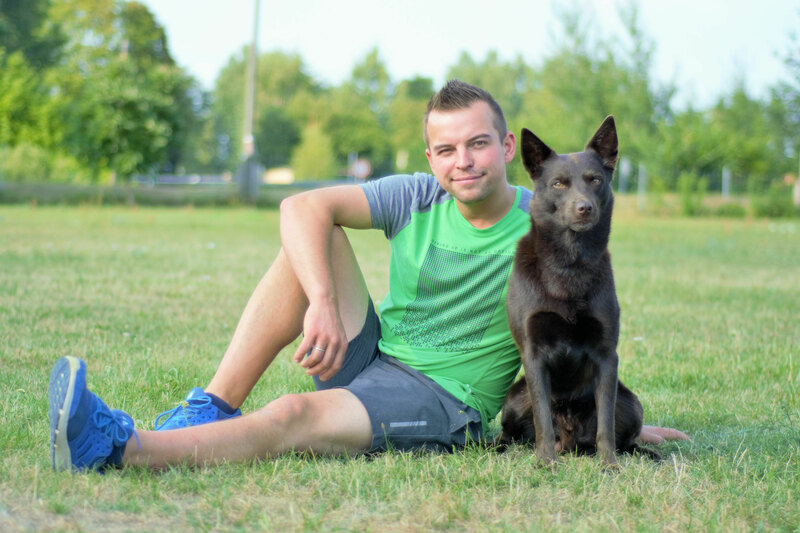 Free Flying Foxes is a small but nice breeder with the goal to breed healthy and even-tempered Australian Kelpies with working abilities typical for the breed in all conscience under the rules of the VDH* (member of the FCI**). We are more "dog owners and dogsport people" than "breeder" and we turn our attention more to "quality not quantity". Because of that we're only planning few exclusive litters. Next to daily long walks out in the woods and fields, all of our dogs are worked regularly in different dogsports in which they are also competing. Even though or because of that we prefer dogs which are able to calm down easily. In our opinion only a well-balanced working dog is a good working dog. Generally all dogs which will be used for breeding are tested at least for hips, elbows and hereditary eye and heart deseases. If you want to exclude puppies being born with diluted coat colour, it makes sense to test sire and dam dependent on their genetical setup for the dilute gene. Puppies will be born and raised in our house for their first weeks of life. Later they will spend their time in our special and heated dog house with big fenced area. All of our dogs and puppies are generally fed a raw meat diet (BARF). But in the meantime our puppies will get to know dry food too. In the period of day 3 to day 16 of life our puppies will encounter the exercises of "Early Neurological Stimutalion" of the U.S. Military "Bio Sensor" programme. Appropriate to their age they will get to know carefully daily environmental stimuli (smells, noises, different grounds, foreign people, kids etc.) and our adult dogs. Puppies will be ready for their new homes after our breeding supervisor checked the whole litter respectively at the age of earliest 8 weeks. Puppies will be dewormed several times, vaccinated, get a microchip and an EU-passport. Of course they will get VDH- respectively FCI-pedigrees. Concerning our new puppy owners we attach importance to the "total package". We wish for competent, responsible dog owners, who are able to help our puppies to grow into kindly adult dogs ready for every day life while supporting with a stable and consequent basic education, continuing socialisation and fulfilling their natural needs (running, sniffing, lazing around, social contacts etc.). Additionally we prefer active dogsport people, but also mantrailing or search and rescue work could be their "dream job". We won't see any of our pups living its future life in a kennel, because we want them to be full family members. We hope to stay in close and friendly contact with our future puppy owners and are looking forward for all reports, the good as well as especially the bad ones. For whatever reason it would be necessary to place one of our dogs in another home, please feel free to contact us at any time. We will find a solution which will be acceptable for all being involved. As personal situation allows it we will take our dogs back of course. For more informations on our breeding programme, our kelpies or planned litters feel free to contact us.